Chandler Retail Pharmacy, located in UK Chandler Hospital Pavilion A, begins 24/7 service this evening. LEXINGTON, Ky. (Jan. 22, 2019) – In an effort to better serve patients and the community, UK HealthCare's Chandler Retail Pharmacy is moving to 24-hour service seven days a week. The new hours begin this evening. Flu shots and other vaccines administered on site. Half off most prescription copays for UK-HMO members. Expert pharmacists who can answer questions about medications. Those who need a prescription filled after hours, including those who visit UK's Pediatric Twilight Clinic or emergency departments, will now have a safe, convenient option right here at UK HealthCare – no more late-night runs across town with a sick child or family member to find an all-night pharmacy. UK Chandler Hospital is always open and security is always present, so customers can have peace of mind. The pharmacy accepts prescriptions written by any provider – not just those at UK HealthCare – and accepts most insurance plans. 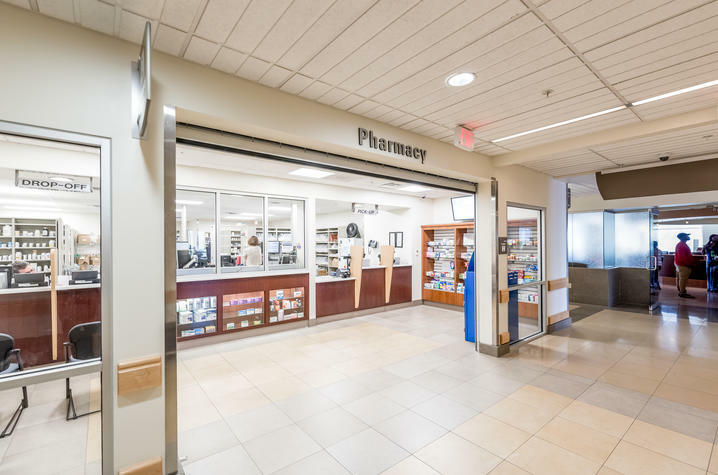 Chandler Retail Pharmacy staff will also be able to refill prescriptions previously filled at any other UK HealthCare Retail Pharmacy locations: Kentucky Clinic, University Health Service, Good Samaritan and Turfland. For more information about UK HealthCare's retail pharmacies, call 859-218-3340 or visit ukpharmacy.org.